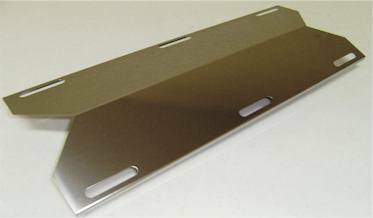 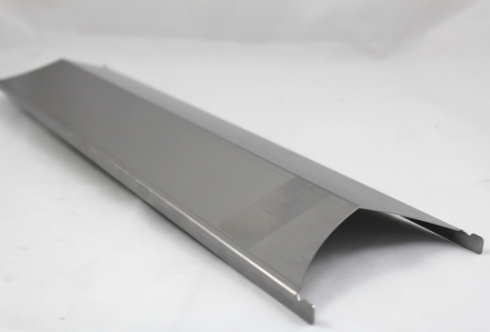 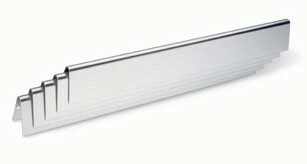 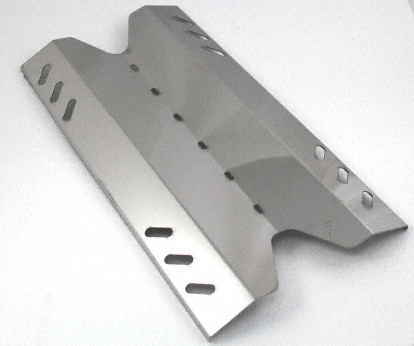 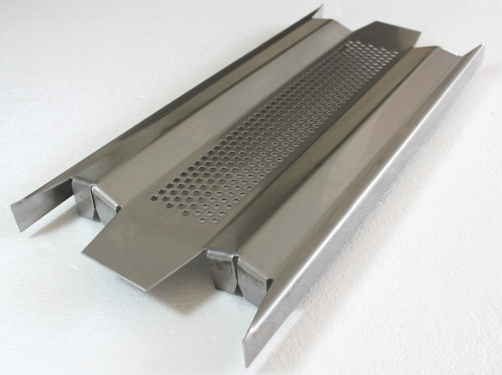 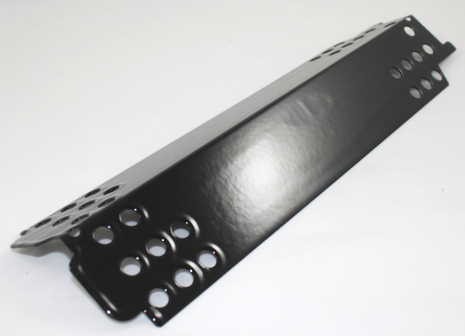 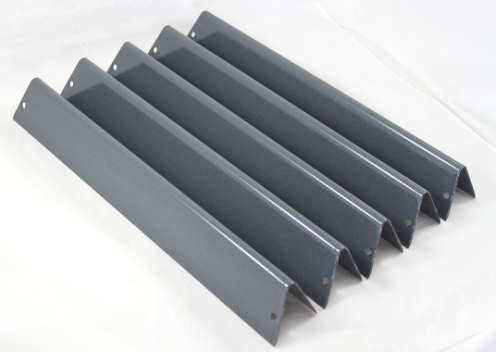 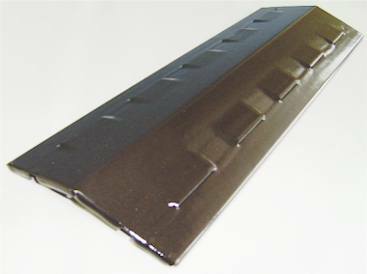 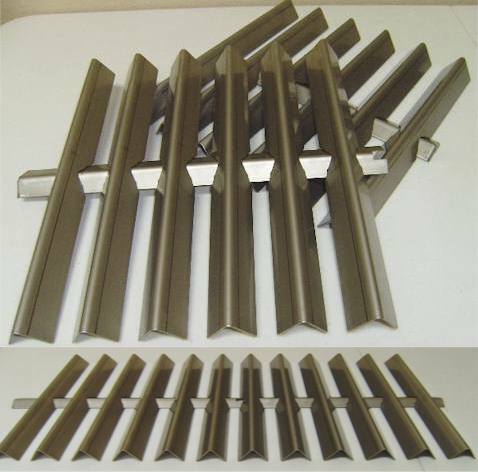 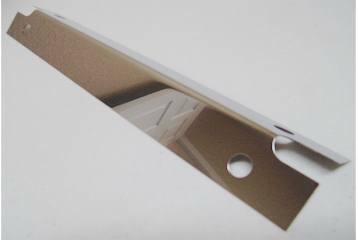 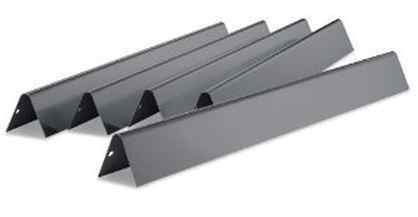 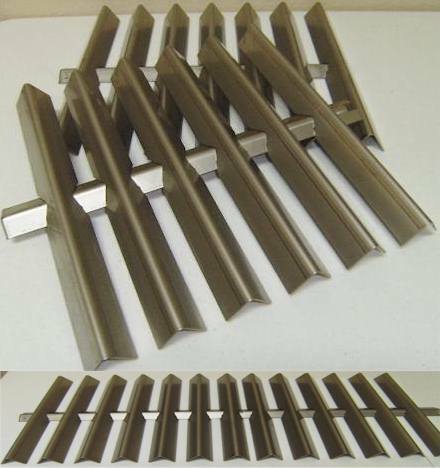 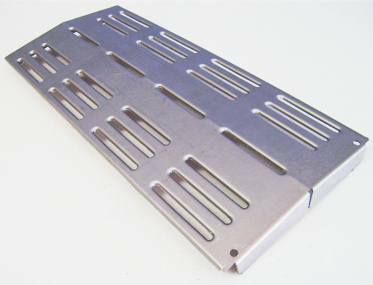 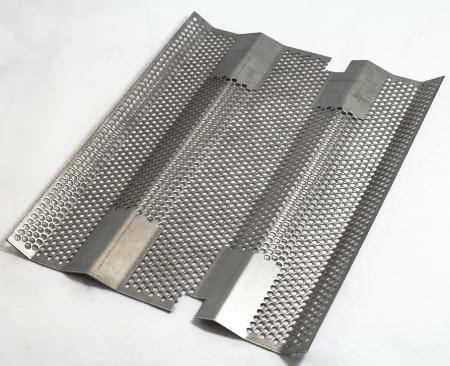 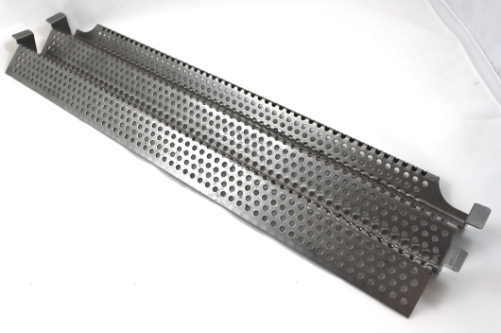 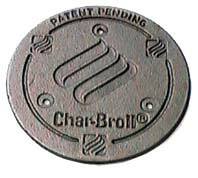 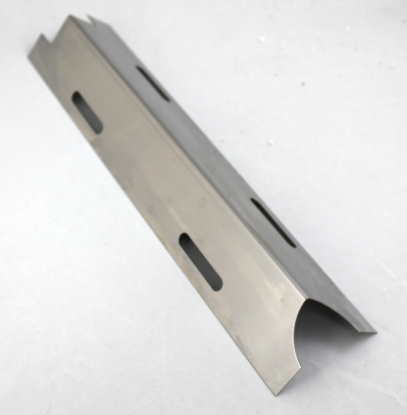 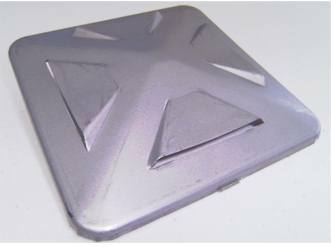 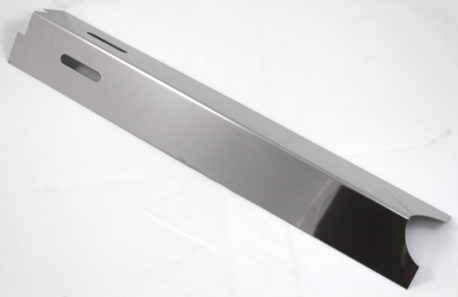 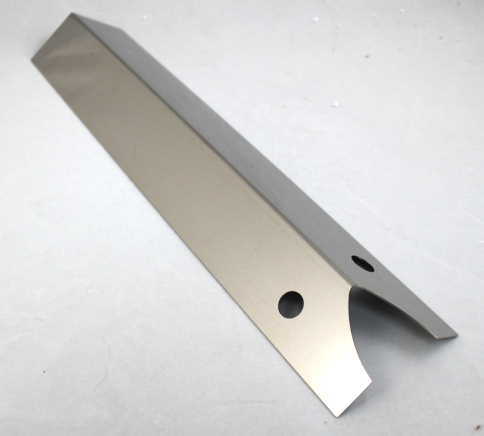 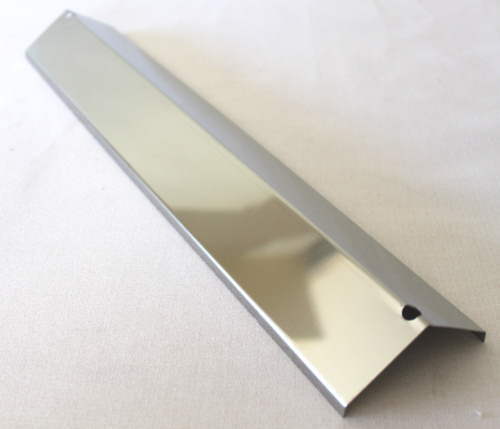 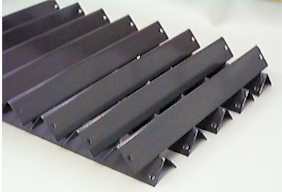 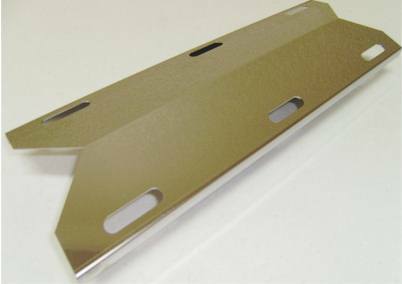 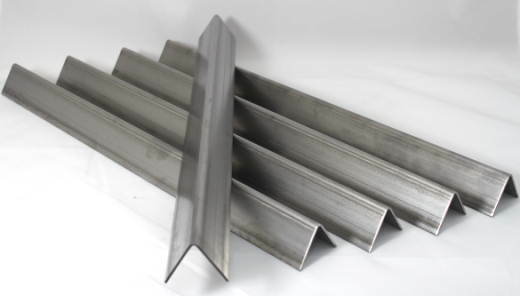 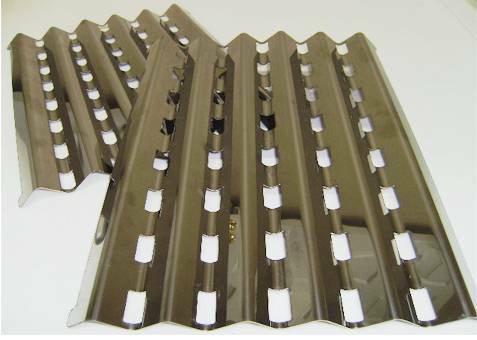 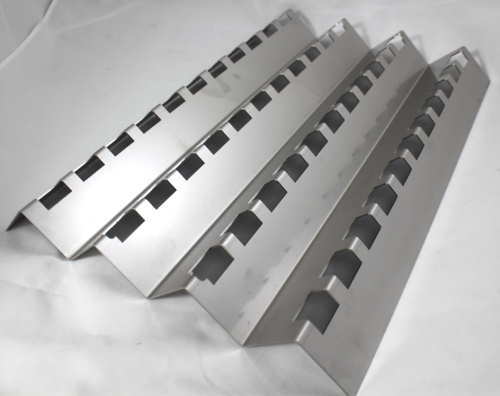 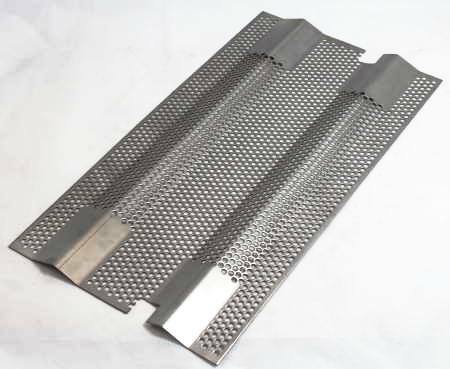 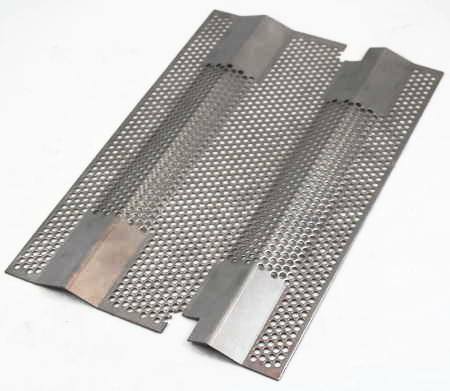 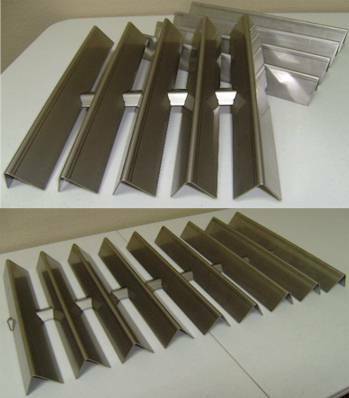 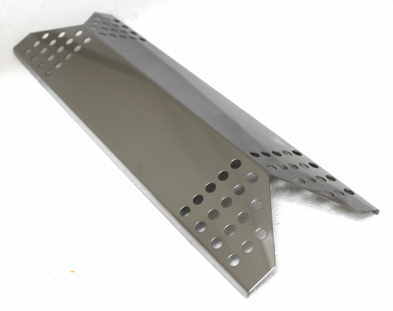 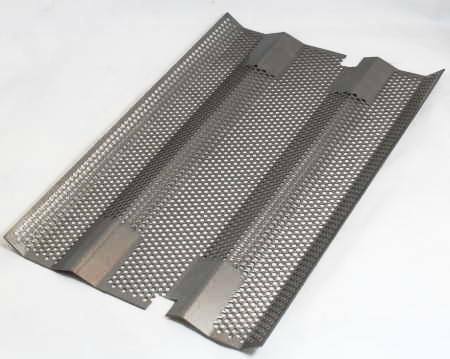 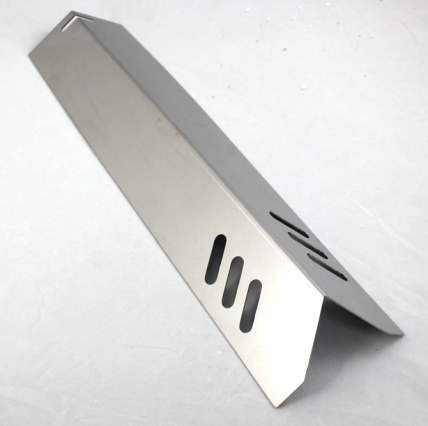 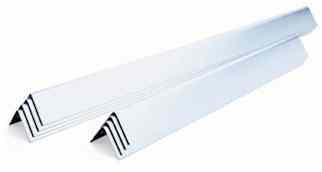 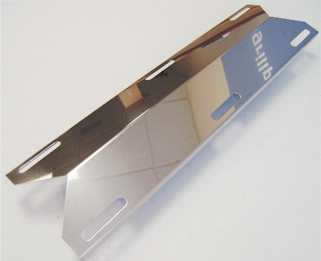 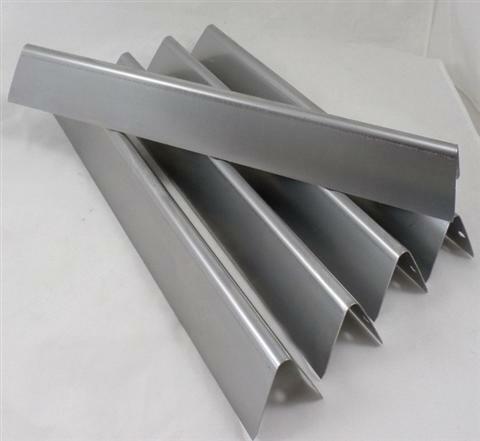 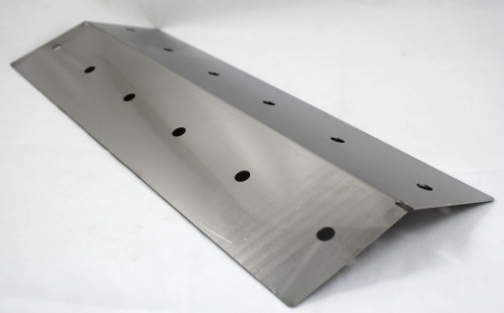 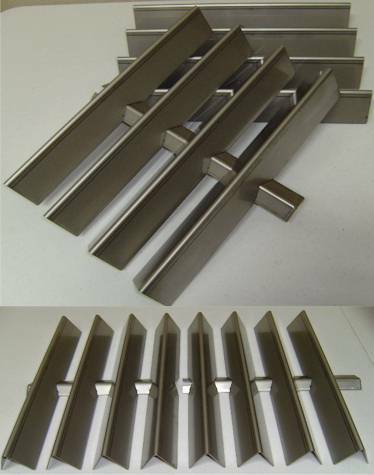 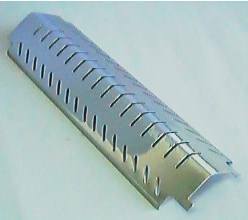 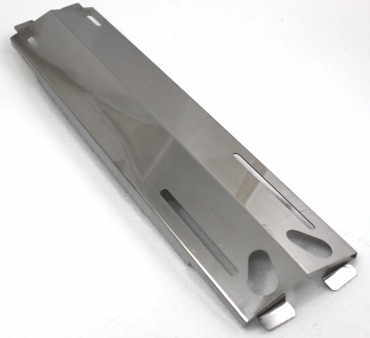 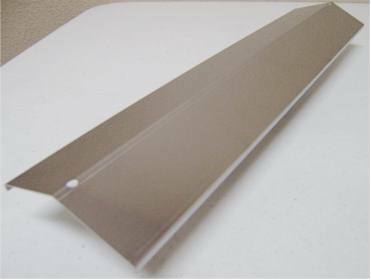 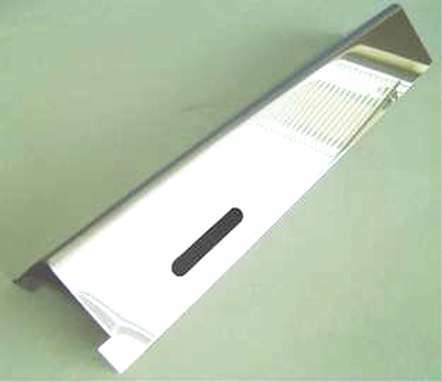 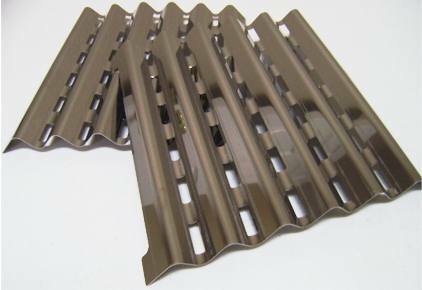 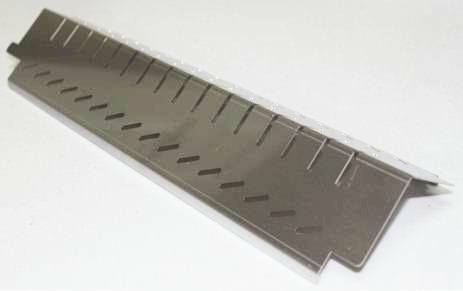 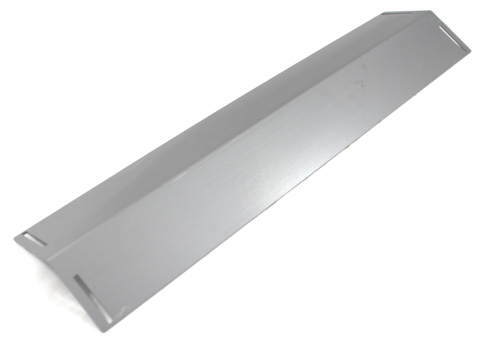 14-5/8" X 4-1/4" stainless steel heat distribution shield. 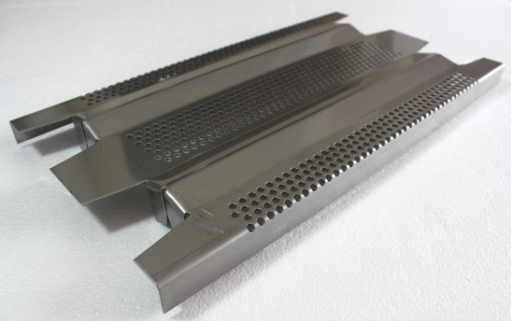 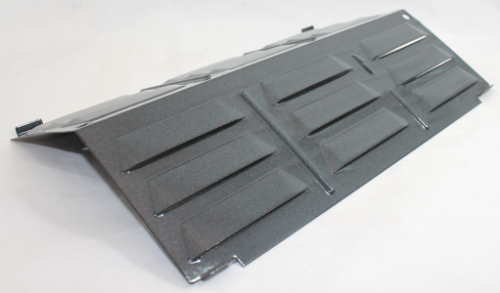 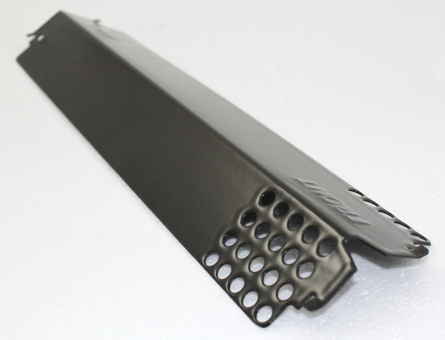 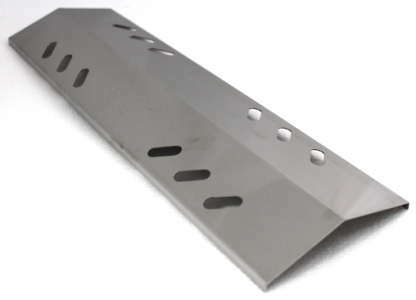 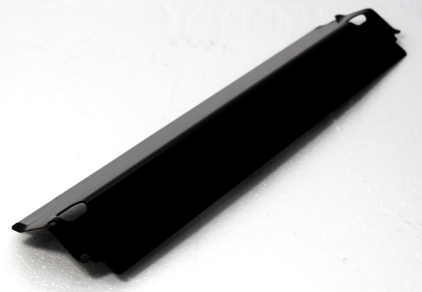 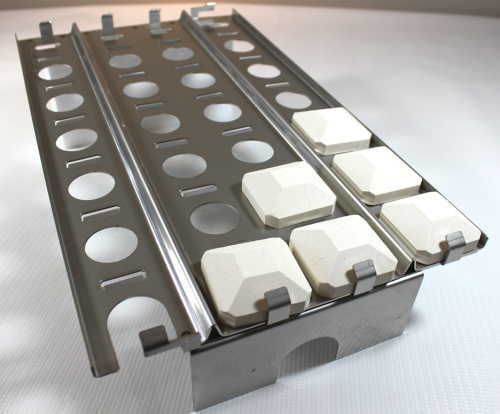 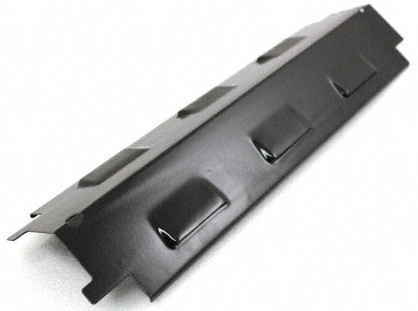 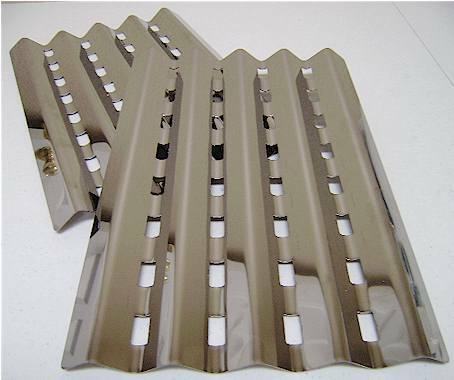 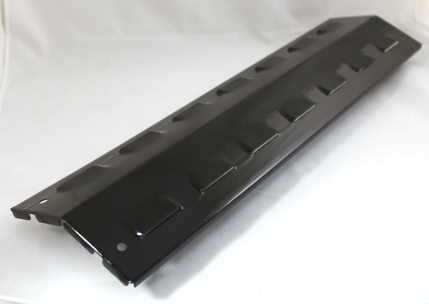 Features vent holes and mounting tabs at each end. 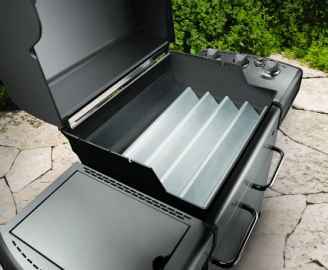 Fits a variety of Nexgrill models.